Hi everyone, Hope you all doing well! Do you ever get any complain by your guy that that your apartment tends to look more on a feminine side? I certainly did. Therefore today, I put together a masculine interior design scheme with the hope to help the bachelors out there who looking for some inspiration to style your home. Or any couples that looking for a more unisex style for your space. 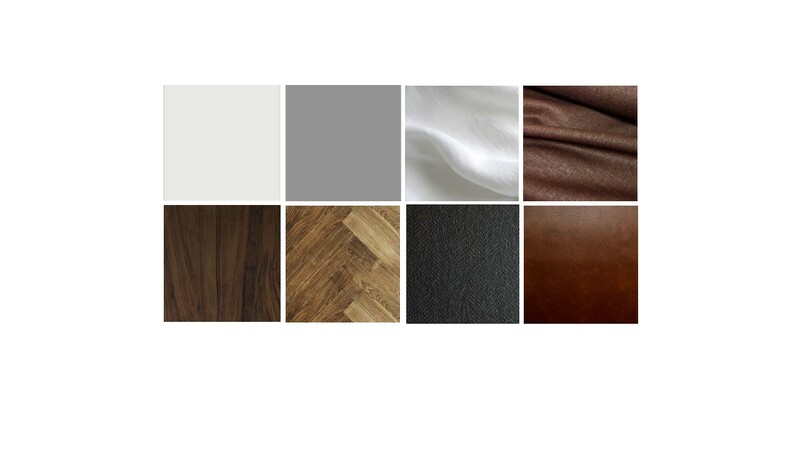 After looking at some preference photos online, I can see myself attracted to a neutral color scheme with white & grey for ceiling & wall finishes and rustic walnut timber floor. Soft materials are brown leather & ash grey tweed for upholstery while curtains & bedding are in natural linen fabric in white, brown & grey. 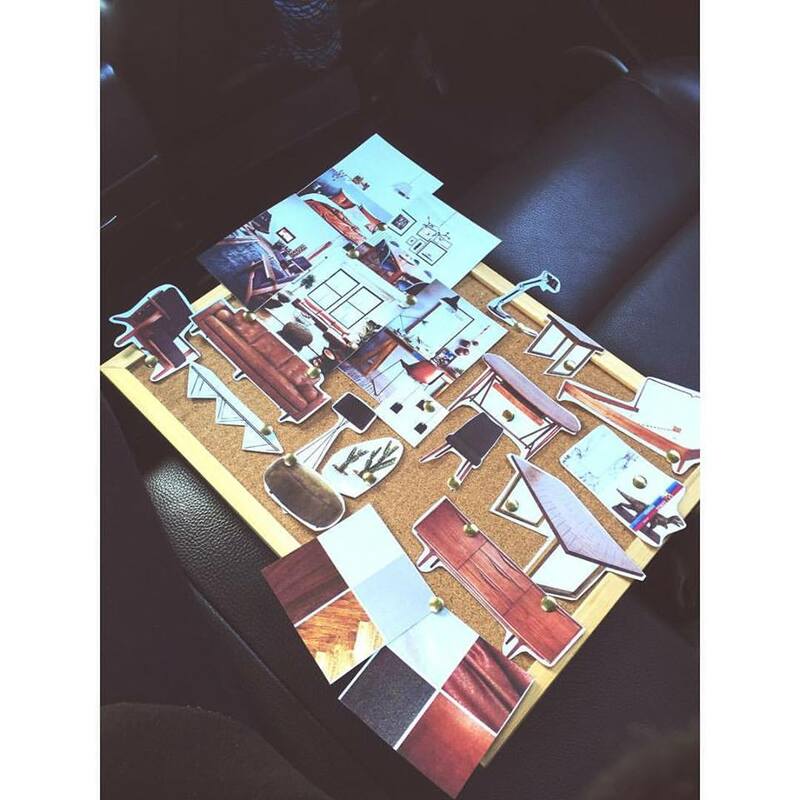 You can easily put this masculine interior together with furniture and lighting from Matt Blatt like this inspiration mood board I made for their group session interview. I’m going for a minimal interior with modern classic retro vibe furniture and a little bit industrial twist with my choice of lighting. I’m really dig in to this rich, warm tones and modern classic interior look. How about you? If you have any styling tips on how to archive a masculine interior space. Please don’t hesitate to comment below!